We are dedicated to providing you with the best eye care and optical experience. 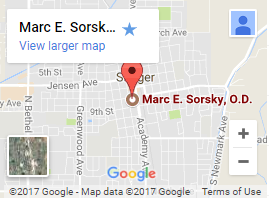 Dr. Sorsky and his staff are committed to improving your vision and your life through our care and services. We look forward to seeing you.